When you need a timely solution to problems like flooding or roof leaks, 911 Restoration Milwaukee is the company that can provide you with quality water damage repair and restoration services. Overtime, exposure the weather can leave your home susceptible to water damage situations. Luckily, our water damage Franksville technicians are fully equipped and trained to repair and restore affected sections of your home. The moment that you notice a leak within your home, there’s not a moment to lose because the moisture buildup can lead to fungal infestations. That’s why when you call our specialists, mold removal Franksville team will respond within 45 minutes. Once our technicians arrive, we can get right to work by providing you with a free inspection and estimate. Our fast response time makes sure that any further damage to your home is averted. Our team is fully committed to protecting your number one investment – your home. Allow our water damage Franksville technicians to provide your home a fresh start through our restoration services. Among the water-related issues that can affect your home are roof leaks. Our owner Dan and the rest of our team make it a point to help homeowners as much as we can. Regularly clean and inspect your gutters and downspouts. In doing so, you can prevent clogging and help water flow away from the roof and foundation of your home. This helps you steer clear of any major structural damage due to water. Inspect the foundation of your home on a regular basis. Look for any cracks or breaks. By detecting any issues early on, you can avoid any costly foundation damage. Have the roof inspected by professionals. This makes sure that any problems like loose or missing shingles are repaired as soon as possible. Remember, 911 Restoration is ready to assist you whenever water damage comes wreaking havoc at home. The moment you notice a problem caused by issues like roof leaks, make sure you call the water damage Franksville mold removal team from 911 Restoration Milwaukee right away so we can give your home a fresh start! We are always available to provide you with a timely solution to any water-related problem you may come across. 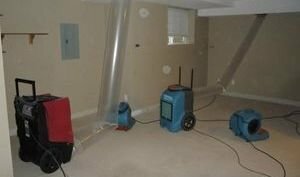 Our services will be making use of the latest drying technology to effectively remove water and moisture from your home. To provide you with further convenience, we will also be working with your insurance company to help you file your claim and to provide you with the most affordable price. We know issues like pipe bursts or flooding can come unexpectedly, so our services will be available 24/7/365 so we can get to the bottom of the issue exactly when you need it. Our IICRC certified water damage Franksville technicians are always prepared to conduct the highest level of water damage repair so you can get a fresh start. We understand how much of a hassle a roof leak or a pipe burst can be. Luckily, the water damage Franksville leak repair professionals from 911 Restoration Milwaukee will always be ready for any water-related concerns you may. Give us a call today!